New developments at Les Sybelles to facilitate your life, giving you more time to make the most of your holidays! 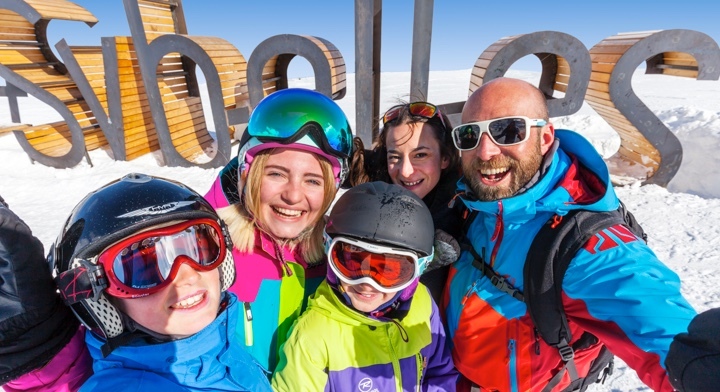 Ever mindful of the well-being of our skiers and the hospitality we offer our holidaymakers, we pull out all the stops each season to offer you only the best skiing conditions, and services to facilitate your stay. We are constantly working to improve the comfort, security and accessibility of our slopes! 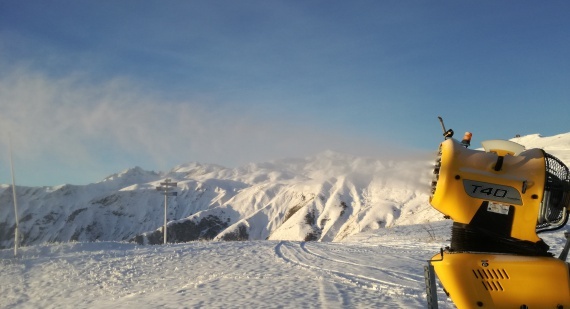 This new slow boarding 6-seater chair lift offers considerable time saving to access the top of the Le Corbier / Saint-Jean-d’Arves area, while it facilitates access to the Ouillon peak, a convergence point between the various areas comprising the Les Sybelles skiing area. This ski lift alone enables skiiers to get to the Le Corbier peak in 5 mins. It replaces both the L’Épaule and Le Corbier old fixed-grip chair lifts. This means one ski lift instead of two: fewer pylons to limit the environmental impact and to enjoy the view but most of all, the additional time you will get to ski! The snow network has been reinforced on the La Toussuire side, in Saint Sorlin d’Arves (Le Stade slope) and in the Corbier Saint Jean d’Arves area, with the aim of securing and reinforcing the production capacity. 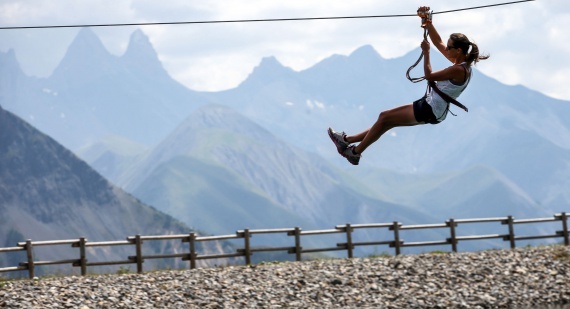 The new 150m zip line provides the magical sensation of flying like a bird over Lake Titou, located at the start of the Le Chaput chair lift.Thrills guaranteed with this new way of enjoying the La Toussuire slopes. Can be accessed on foot or with skis, from the Entertainment area of Le Chaput. 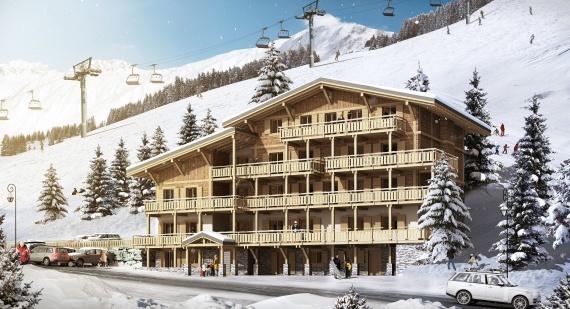 This new para-hotel establishment is a 280m² to 100m high-end chalet in the heart of the Le Corbier ski resort, with the capacity to accommodate 15 persons. It has 7 bedrooms with bathrooms. 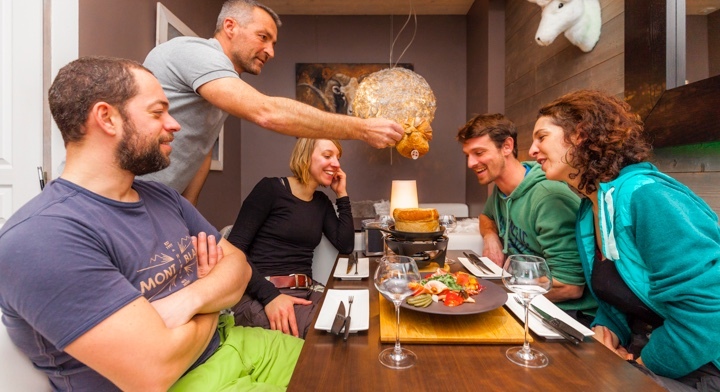 The chalet offers luxury services, with all the amenities needed to ensure a spectacular holiday, and much more: 1 cinema room, 1 billiard table, 1 outdoor barbecue on a 100m² terrace, 1 sauna, 1 swim-bath against the current, ski lockers with shoe drier, and clothing drier. Certain services are offered to simplify the lives of holidaymakers, including home cleaning, home cooking or rental equipment, ski passes and ESF ski courses. In the heart of the village-ski resort of Saint-Sorlin-d’Arves, the “La Route des Alpages” residence is ideally located at the foot of the slopes. 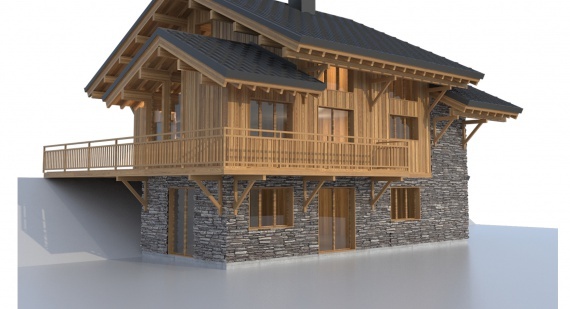 Its traditional chalet style blends seamlessly into the landscape, owing to its typical mountain architecture combining wood and traditional stone in an aesthetically-pleasing way. This small shared ownership offering run on a personal scale consists of nine 3-star rated luxury apartments, ranging from one-bedroomed to five-bedroomed units. The living spaces are inviting and spacious, offering high-end services with noble materials and meticulous finishes. One-bedroomed 45m² cabin for 4/5 people from €1,360 / week to five-bedroomed 134m² units for 12/13 people from €3,724 / week.